We’ve all heard the stories about burglaries gone wrong: the criminal enters a home or business, only to find a property owner unwilling to submit to the criminal and more than willing to take care of business using whatever means necessary. Cases like these happen now and then, and we hear stories of lawsuits brought against the property owner by the criminal. Are these stories for real? What happens when a burglar claims you caused personal injury? You may need a good attorney in such a situation. CBS News reports that 90-year-old Jay Leone returned fire after suspect Samuel Cutrufelli shot him in the face. Cutrufelli had kicked in the door in order to rob the house, ordering Leone to remain stationary while he searched for valuables. When Leone convinced his captor to allow him to use the restroom, Leone grabbed a revolver and pointed it at the intruder. Cutrufelli shot Leone in the cheek, and Leone emptied his gun on Cutrufelli. Both men survived their injuries, but Cutrufelli is suing Leone. David McLaughlin was sued after firing three shots at a fleeing burglar who’d set of a garage alarm. One shot hit the would-be burglar, who claims never to have actually made it into the garage, in the back of the arm. Nigel Sykes muscled his way in the back door of a pizzeria, gun in hand, ready to rob the place. When employees tackled him and wrestled the gun away, he was at their mercy, and they kicked, punched and poured hot soup on him until the police arrived. 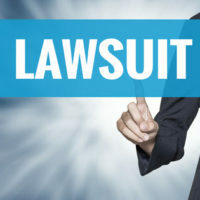 Sykes is suing the employees for assault. Gwendolyn Jenrette had a security system installed to protect her Florida home following multiple burglaries. When the system alerted her that there was another break-in, she rushed home and fatally shot a fleeing teenager. The family of the teen feels her actions were unjustified, and want justice for the teen. In Florida, homeowners are protected against intruders by pretty strict laws. Use of force is justified when a person, home or property is threatened. 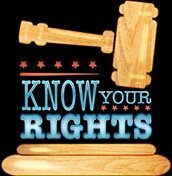 Anyone who unlawfully or forcefully enters a residence, or even a vehicle, may be presumed to be doing so with the intent to break the law, potentially with violence. Thus, any homeowner is presumed to have what the law calls reasonable fear of bodily harm or death. That reasonable fear gives homeowners pretty broad license to react in any way necessary to protect themselves. Furthermore, they have immunity from prosecution and civil actions in such situations. What could be more frightening than a close encounter with an armed burglar? Hopefully it never happens to you. If it does, and you wind up having to defend yourself, things could get complicated. The intruder may claim personal injury that occurred on your property or due to your behaviors. You will need a strong legal defense. At Barbas, Nunez, Sanders, Butler & Hovsepian in Tampa, we know personal injury backward and forward. We will fight on your behalf. Contact us today for a free, confidential consultation.